In the far north of Mozambique is a place so remote and so majestically beautiful that it has to be felt to be believed. It is the vast Niassa Reserve and it’s double the size of the Kruger National Park. 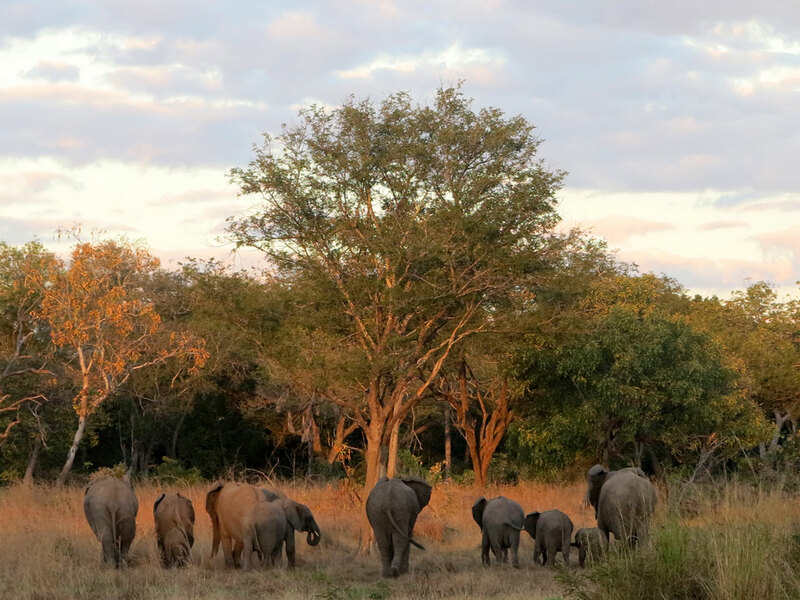 But danger lurks here for wildlife, so dedicated conservationists work tirelessly, often risking their lives to protect Niassa’s elephants from poachers. Niassa is love at first sight. It’s raw and rugged. Truly wild. As we fly into the interior from the coast, for two hours we are humbled at the beauty of the landscape lying below. Silenced by its vastness, punctuated only by granite inselbergs and rock chimneys sans smoke, we sit hypnotised by the drone of the Cessna’s engine as we scan the landscape for any sign of humanity. There is none; no indication at all of human impact; no visible scars; no obvious ills. Yet ironically, the insidious scourge of poaching is alive and well in Niassa. At over four million hectares, or 42 000 km² in size, Niassa cradles the greatest abundance and variety of wildlife in Mozambique – by far. Here, there are more sable than impala, vast herds of elephant roam the miombo woodland, plentiful lion and leopard lurk throughout, and there are throngs of antelope along with unique endemic species like Niassa wildebeest, Johnstone’s impala and Crewshaws zebra. Wild dogs also live permanently in the reserve. 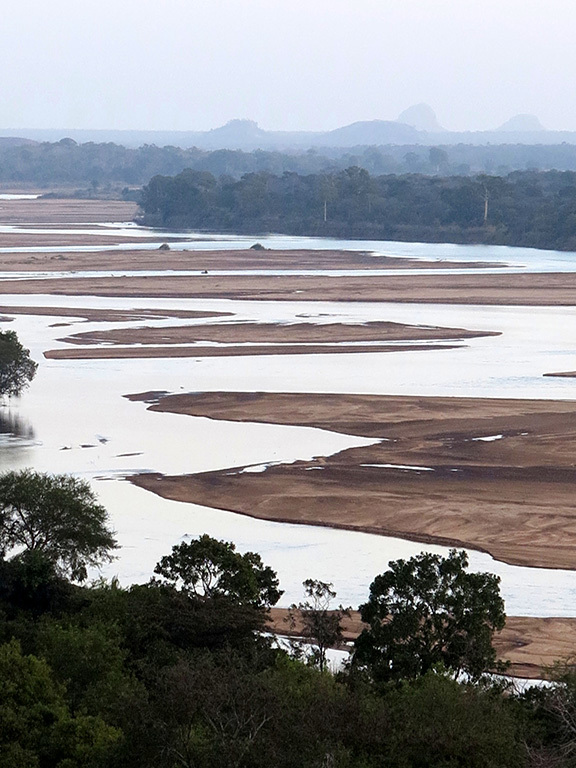 As Mozambique’s biggest wildlife reserve, it’s ironic that Niassa has remained largely undocumented since its establishment in 1954. Still today, it’s a gem hidden from mainstream tourists and has only been discovered by those who truly, deeply love very wild places. Niassa is so far off the grid, there is not even radio signal there. Only satellite phones work, energy is from solar or generator, and many locals don’t use any money at all but live entirely by trading. 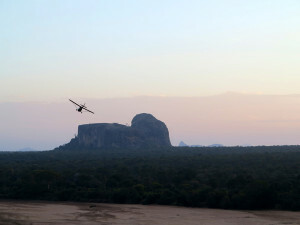 To add, much of the reserve is mostly inaccessible during the rainy season from December to May – even flying in is difficult. We’re in the Lugenda concession, one of the massive tracts of land Niassa has been sectioned into for management purposes. Lugenda is a sizable 4 600km² with 300km of the Lugenda River running through it. Before landing at Lugenda Wilderness Camp, the pilot circles the area to clear the sand runway of wildlife. Today there are two lions lazing just alongside where we are about to land, but the plane buzzes the big cats and they filter into the bush. From the air, the tread-lightly, luxury tented camp is barely visible, obscured by giant sycamore fig trees. The camp runs entirely on solar and generator energy, with wood-fired donkeys for hot water, and it has an impressive herb and vegetable garden for greens – fenced to keep elephant at bay. 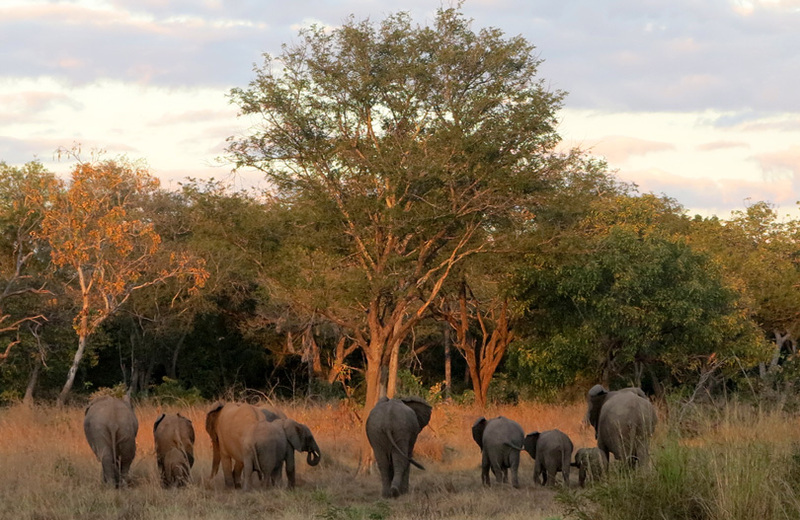 In the Lugenda concession live a large proportion of Niassa’s elephants, which need constant protection from poachers. “In the past decade, the ivory price has shot up from $5 to $300 per kilogram for ivory,” says Lugenda concession manager Derek Littleton, “so poaching elephant is very lucrative.” Importantly, he says, the concession also has 60 dedicated game scouts stationed across 10 posts in the area. Sure, they’d make better money from poaching, but they’ve chosen to earn a living ethically instead. They’re also spreading the word and leading by example in their communities, where they are greatly respected. About 35 000 people live in the Niassa Reserve, and about 500 actually have jobs in the reserve. Many others eek out an existence as subsistence fishermen, moving with the waters and seasons along the rivers and sheltering at night in rickety grass huts on the river banks. In the evenings, thin plumes of smoke can be seen rising from their cooking fires along the Lugenda River. These are some of the conversations over lunch at the lodge. We’re heading out on a game drive for the afternoon, while Derek takes to the sky in a Bathawk to fly anti-poaching patrols. The Wilderness Foundation has sponsored two of these canvas clad surveillance planes in order to fly daily anti-poaching patrols over Lugenda. So far the plan is working and poachers are being held back. Between the Bathawk patrols and the 60 game scouts on foot, who sleep rough and have regular encounters with poachers, Lugenda is doing an admirable job of protecting its elephants. Out on game drive we do see elephant, but they’re understandably nervous. 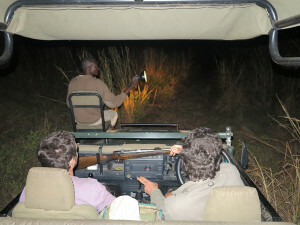 We also see sable, waterbuck, kudu, bushbuck, samango monkeys, prides of lion, and a leopard lying lazily on a branch. Predators are plentiful here, and at night the more unusual bush dwellers come out too, like genets, civets, porcupines and scrub hares. 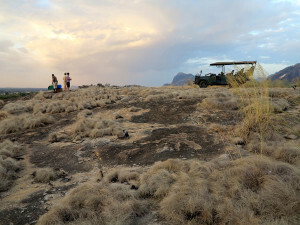 Lugenda is alive, and our game viewing vehicle being the only one in the vast concession makes the experience uniquely private. Derek aptly describes Lugenda as: “Completely unscripted” because guests can go on drives or walks any time they want to. There are also canoe trips along the Lugenda River and sleep outs on the inselbergs, fully equipped and catered. Lugenda offers a rare taste of true African wilderness. You feel the place deeply; there’s a sense of being closer to yourself, more atuned to reality. We drive past baobab and tamarind trees – their seeds carried here along the river systems by slave trains and elephants – and stop to watch white-tailed mongooses playing ‘catching me’. 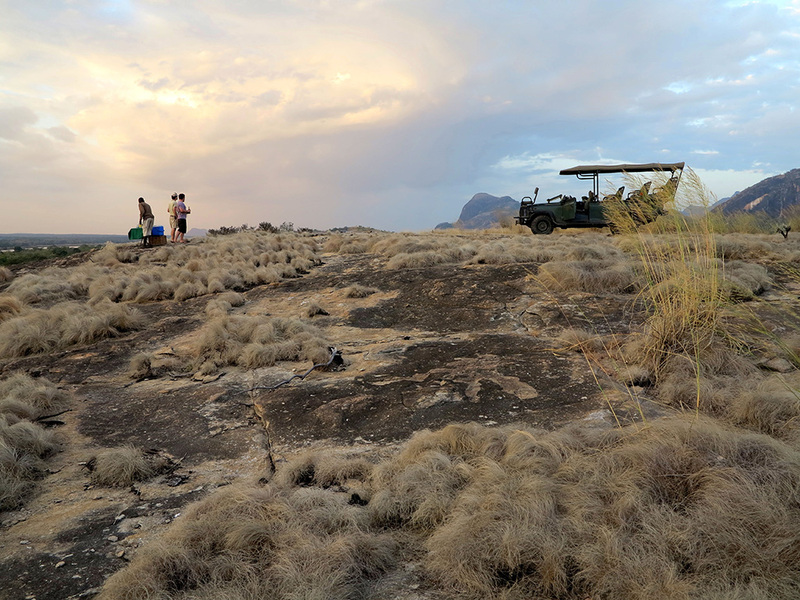 Then we start to climb, the Land Rover clawing its way slowly up the inselberg. “The view from the top is good,” says guide Donald Mac Crimmon with characteristic understatement. And before long we are on top of the world, looking down on the silvery Lugenda River caressing flat earth between dramatic inselbergs. It’s too beautiful to breathe. Then a ‘bat’ appears on the west horizon, flying out of the sunset. It quickly grows larger to reveal itself as a Bathawk. Derek is piloting it and coming to say hello before he lands, and the game scouts take over for the night patrols on foot. Tomorrow, air patrols will resume – and every day there after – with some fire fights in between. Around the supper table back at the lodge – where conversation is always captivating – Derek says in his emphatic calm demeanour: “Conservation is top of the list here, and everyone is included. It’s the reason for Lugenda being here. And no, I will never leave Lugenda, and I will never give up the fight to save its wildlife. Never. I somehow feel personally responsible for conserving this area.” For Derek, Lugenda was also love at first sight. He remains smitten with the place, as we are too. Niassa can’t be explained as well as it can be felt. A lot like true love, I guess.